This is a message to all who have been to a Reiki class, who have been initiated, attuned, and may sometimes doubt that they are Reiki healers. You have all flowered when you were initiated into Reiki. When you receive Reiki attunements, you have become a channel of Reiki. 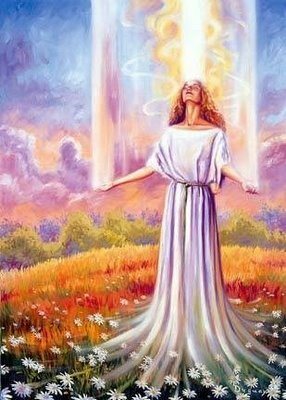 Whatever you do, you have become a being whose intention guides the flow of Reiki for your intentions are guided by universal light..
You are a gift to this world of this universe. You will keep becoming more and more aware of this. Just be open to the gifts of Reiki as they flow into your life. For the highest good of all concerned. What could be better than that? The wonderful thing is, that Reiki is universal. It is beyond space and time. It is not restricted. It is within everyone and everything. Your attunements initiate you into an awareness of its flow. This helps to make you responsive to Reiki, but not responsible for it. You can call to other Reiki channels, whether or not you know them when you need help, when you feel down, or when you want to celebrate. It will not drain our energy, it will enliven us when we do so. Just for Today….. the other words are in the silent spaces of your heart. Posted on September 24, 2013 September 24, 2013 by Meenakshi ~ Journey In WholenessPosted in Blog, ReikiTagged healer, reiki, reiki channel.